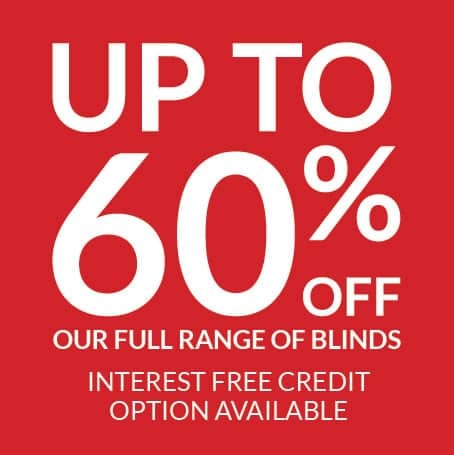 If you are looking to make a bold statement, Conservatory Blinds 4 Less offer the latest versatile and stylish range of blinds. The Roman blind collection has a luxurious range of fabrics that will enhance any interior design scheme. Roman blinds are a popular choice for anyone wanting to add an elegant yet contemporary feel to their conservatory windows. 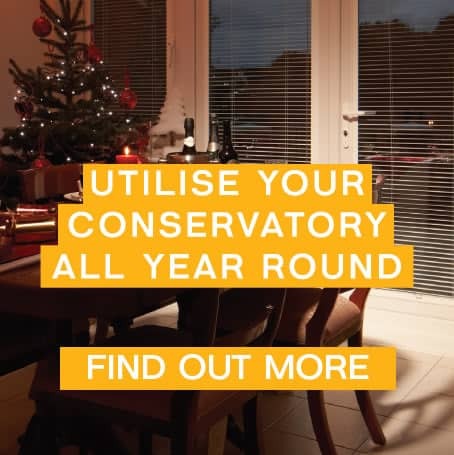 Creating a relaxing atmosphere means controlling both the temperature of your conservatory throughout winter and summer, as well as adequate light control. 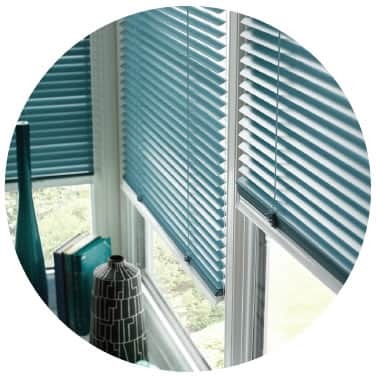 Our Venetian blinds are highly flexible and can be tailored to your needs. 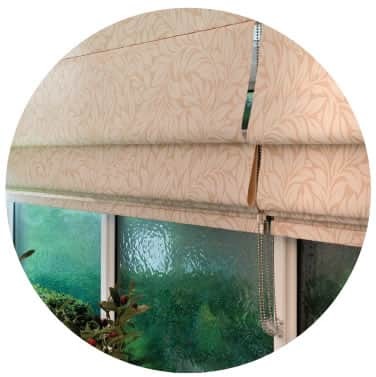 They are available in a complete range of aluminium and wooden finishes the blinds can be free-hanging or flush-fit. 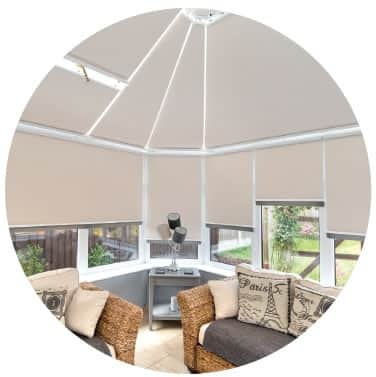 At Conservatory Blinds 4 Less we have over 30 years experience in providing high quality blinds for your conservatory that are both functional and aesthetically-pleasing. Each of our specially-designed window blinds, from roman blinds to wooden roller blinds, provides thermal insulation for your conservatory as standard; while our unrivalled range of colours, styles, and fabrics allows you to choose the perfect blinds to complement the style and design of your conservatory. 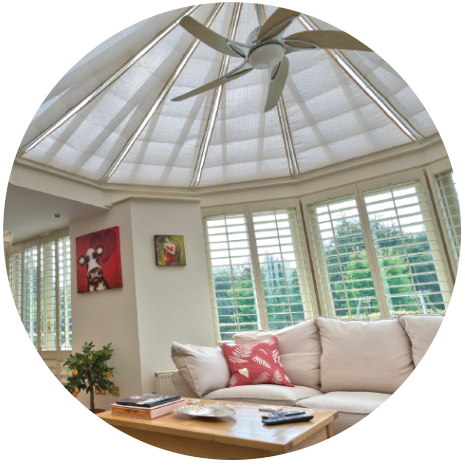 Our specially-developed range of thermal window blinds uses advanced technology from NASA which helps to keep your conservatory cool in the summer and warm in the winter. We use a unique laminated material called aluminized mylar, which is designed to reflect heat back into the room, and minimise the warming effects of solar rays. Roller wood side blinds were selected for privacy and shade. This translucent solution provides shade while still allowing a view to the outside. 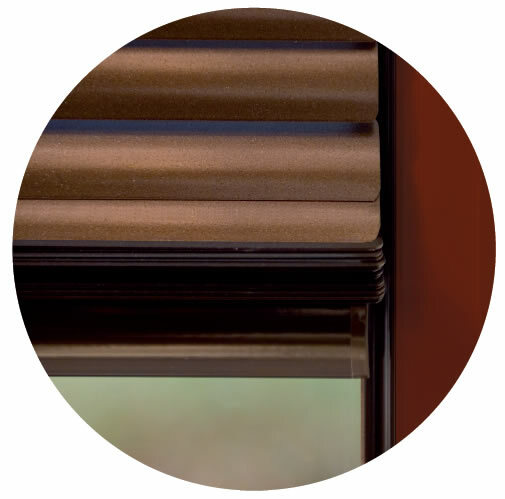 No drilling or damaging your upvc, instead our blinds sit firmly within made-to-measure frames that simply click into place onto brackets that fit between the window frame and the glass. With the increasing popularity of Bi-Fold doors we have developed two distinctive ranges of pleated and metal Venetian shading solutions. 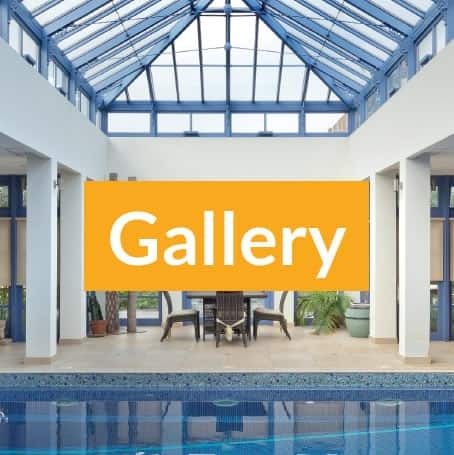 Conservatory Blinds 4 Less gives you the best of both worlds – an awe-inspiring, comfortable conservatory that you and your family can enjoy at any time of year, plus lower energy bills thanks to our innovative dual-reflection materials. 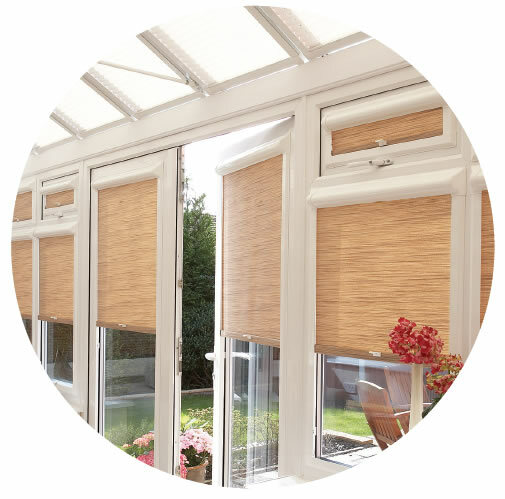 What’s more, our blinds will also help to protect your furnishings and plants from the damaging effects of UV light. From the understated elegance of our roller blinds, panel blinds, and perfect fit blinds, through to the combined classic and contemporary chic of our beautiful Venetian blinds, pleated blinds, and nature-inspired ‘wood weave’ blinds, we’ve got it all. 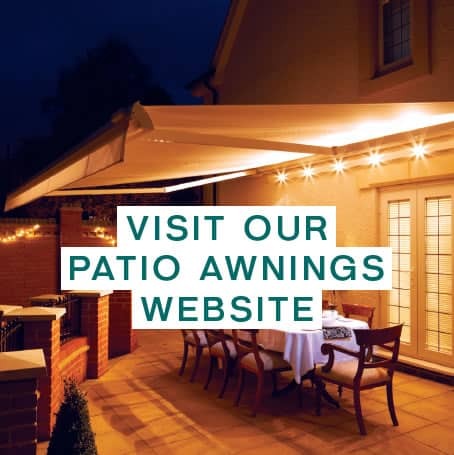 Our conservatory roof blinds are made to measure and manufactured to the highest standard, using premium quality materials and state-of-the-art technology, all brought to you with affordable prices and unbeatable offers that you won’t find anywhere else. Call or email us our friendly team today for a no obligation quote, or check out our pricing page for a rough idea of what you can expect to pay at Conservatory Blinds 4 Less where excellent service is one of our top priorities. company again. 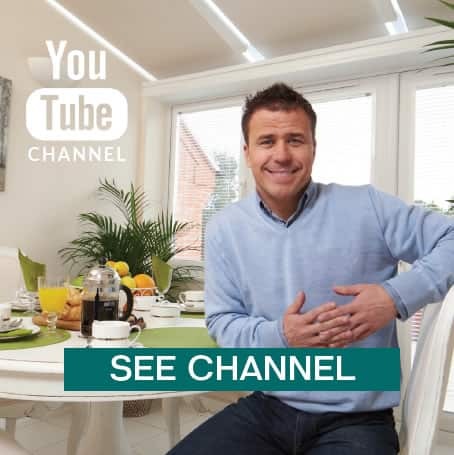 Excellent product and company, highly recommended." "Very pleased with the service, work, communications and quality of the work. 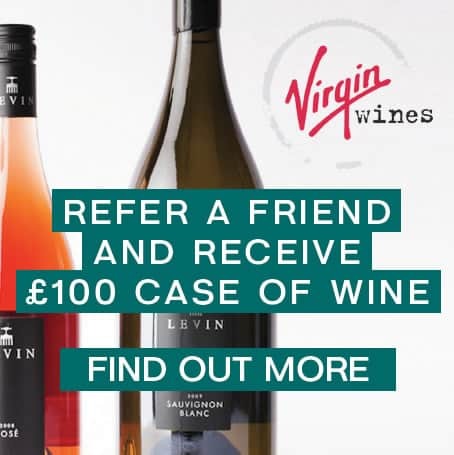 "Excellent service. Clear explanation of method and materials. No high pitch sales talk." "Speedy, friendly professional and competitive service."